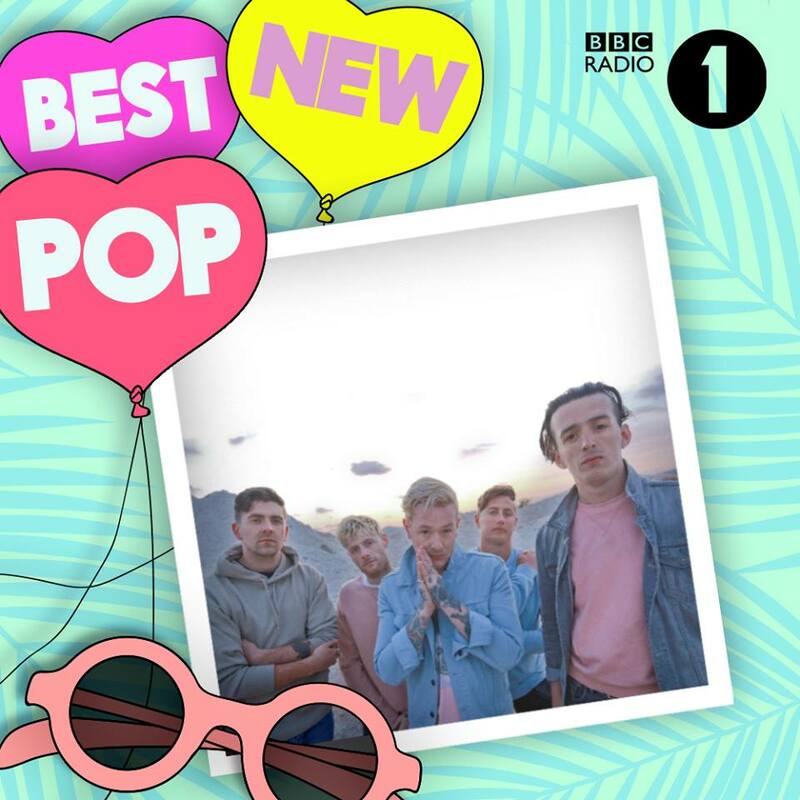 We brought our YesYesYesParty show to Bestival’s Main Stage, Big Top and Finale Spectacle this summer! 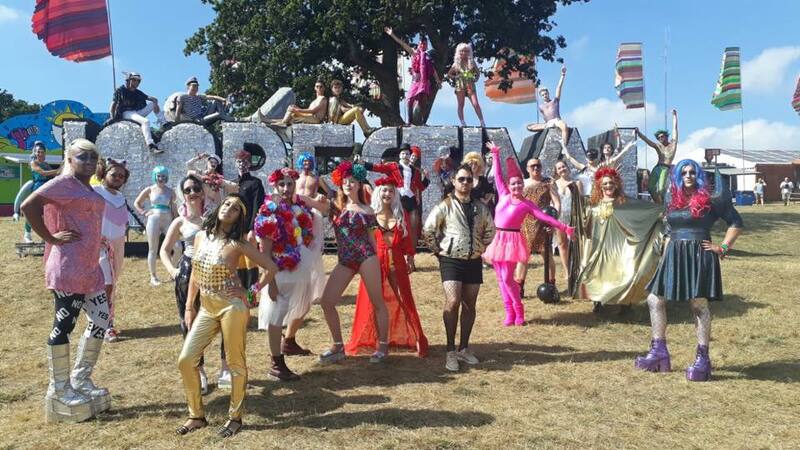 The daytime saw us warm up the crowd with fun upbeat singalong sets, while the last evening saw us sing for the festival finale spectacle as incredible performers from Cirque Bijou traversed a high wire high above the crowds! Papped! Our fun costumes caught the attention of the press! LCV tenor Ernie got Pic Of The Day with his flamboyant festival flamingo; and Lauren, Maeve, Chloe, Alex, AJ and Heidi got a colourful double page feature! 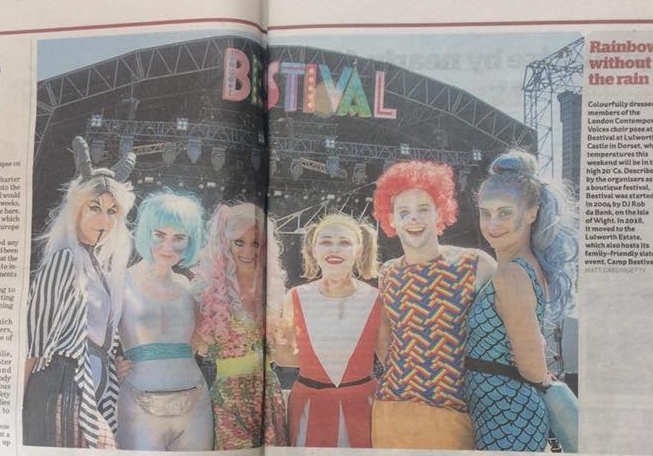 Meanwhile Greg's stripes and Chloe's sparkles popped up in the Dorset Echo! Thanks too to Emma at Little Bat Box for her makeup services over the weekend!